The Arctic Sectional is simply the most efficient, effective all encompassing pusher on the market today. From sidewalks to parking lots. 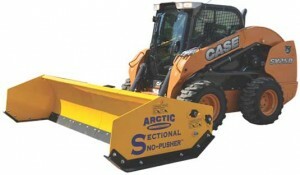 If you want to take your snow contracting business to a level the competition can’t match, go to www.sectionalsnopusher.com to find the dealer nearest you.